And it’s a wrap! 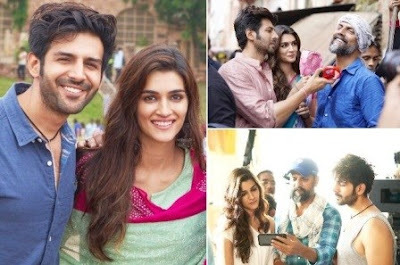 Actress #KritiSanon, who is paired opposite #KartikAaryan in forthcoming romantic drama #LukaChuppi, has completed shooting for her part! In the film, Kriti plays a woman from Mathura who had gone to Delhi to study and is now back in her hometown. Kartik will be seen playing a TV reporter based in Mathura. The film also stars Pankaj Tripathi in pivotal role. The film is slated for March, 2019 release. Apart from Luka Chuppi, Actress Kriti Sanon has also got Panipat, Housefull 4, Kalank and Arjun Patiala in her kitty.